Evening Jewel is sure to be a favorite when the days are hot. A low caffeine tea that will help take the sting out of any summer day. 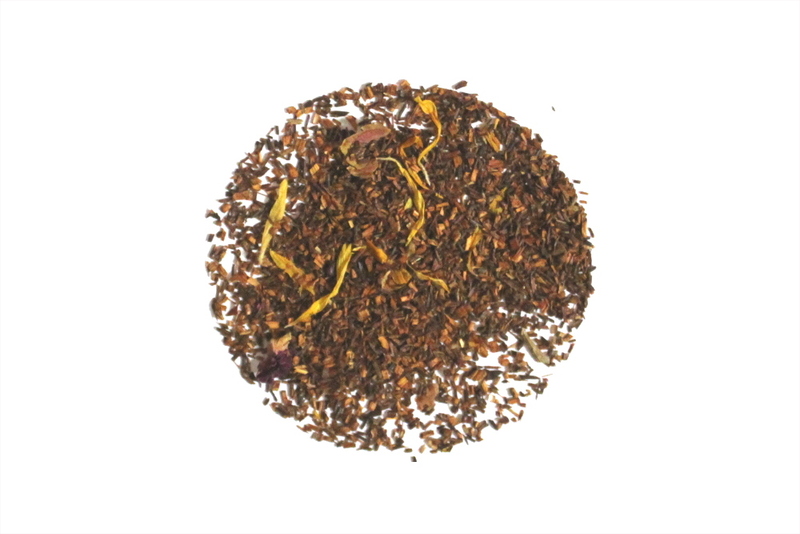 Rooibos is blended with marigold and rose petals along with hints of rose and peach flavorings make this tea. Brew it either cold or iced for the best cure for the summer day. I hadn't experienced much rooibos before subscribing, but now that I've tried so many in the last year, I'm a big fan! It's a great herbal & decaf tea base. Evening Jewel in particular is a nice blend of light & refreshing floral flavors. This tea tastes good with or without sweetener, hot or cold. I find myself grabbing for it more and more and will probably end up buying more when the sample is gone.